Share albums with family & friends via email or social networks. Allow your visitors to post comments and/or add their own photos to your albums. Easily create & post albums on-the-go from your iOS device with the Online Photo Album app. 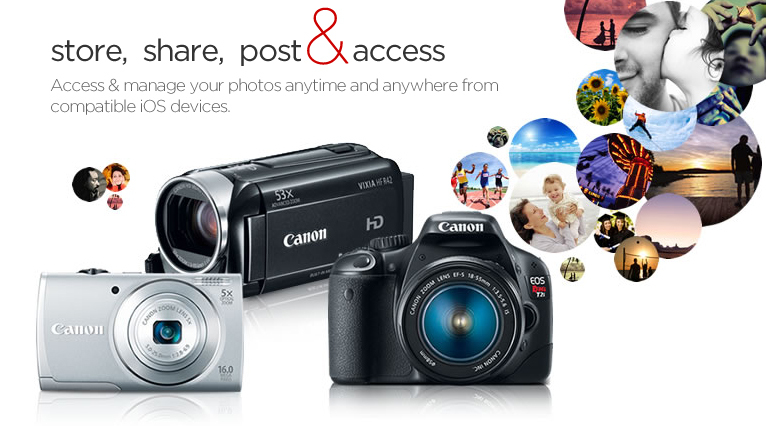 Upload images wirelessly and connect to social networks for easy sharing with wireless-enabled cameras and camcorders. Enhanced management lets you rate, tag, comment and describe of your photos & videos. Quickly find what you’re looking for with our advanced search options. If you have a Canon GPS-enabled camera, upload photos and view it virtually on a map. Sign up today and gain access to all the CANON iMAGE GATEWAY has to offer. Visit www.canon.com/cig to become a member. Click here to see if your product qualifies. Create a Canon account or sign in to your existing Account. Click on Product Registration and select your product from the menu.